Drive By Websites can offer a variety of additional services. We’re a nation of smartphone shoppers and smartphone browsers, but what other website services make it easy for all these smartphone users? The solution is to include a “click to call” button on your responsive website. Remember, converting Smartphone visitors to a responsive website is very different from converting customers using desktop websites. Smartphone users are very unlikely to scroll down and read a whole load of content wording and then send you an email. Especially if there’s a lengthy form to complete. Because they have already got their Smartphone in their hand, Smartphone users are much more likely to make a phone call. So why not make it easy for them by including a “click to call” button? As an example of a “click to call” button we have recently installed, see www.ambiancehi.co.uk using your smartphone, tablet or smartwatch. The solution to get your phone to ring is simple, include a click to call button. A click to call button could make all the difference between getting a new client or losing them forever. Please feel free to contact Drive By Websites on 01775 761512. We will be happy to talk through the options that will be available to you. SSL technology gives your customers the confidence to buy from your website. Why? Customers will trust your website. Many website visitors are now savvy enough to recognise when a webpage is encrypted and protected by SSL technology. When they aren’t, their browser will even tell them. If you have ever noticed https written before a address. This is an SSL encryption. In short, it will give your customers the confidence to trust your website as their personal information will be dealt with safely and securely. “we’d like to encourage all website owners to switch from HTTP to HTTPS to keep everyone safe on the web”. If Google wants it you should do it. To be precise, Google want to ‘encourage’ your website’s conversion to HTTPS by offering a ranking boost. As with all Google ranking factors, this is hard to quantify in real terms. Nevertheless, we can confirm we have seen the benefits SSL certificates can provide to trusted ecommerce websites. A blog is a regularly updated account of events or ideas posted on the web. It is our belief that the modern business approach needs to fully embrace the communicative power of current website services. In our experience, a dedicated blogging facility for news or updates is the best way to do this. We will link your blog to your Facebook page, Twitter feed, Google+ account and Linkedin profile. Each time you write a new blog, your other accounts will be updated at the same time. So not only does it connect you to your customers and simultaneously updating your social media pages in one go, but it feeds a constant reminder to Google that you are more up to date and relevant than your competitors. Has there been a bigger buzz word than “social media” in the past 5 years? You’re told that it’s a must have opportunity and not to miss out on the opportunities it offers. Understanding the potential is one thing, but finding the time to make it work is the biggest challenge. After developing a clients site, we often advised them of where to go next. This often led us to discussing Facebook Advertising and similar website services. Due to its popularity, this service was introduced as a result of the number of people requesting the training. The training can cover a variety of platforms. We recommend starting with Facebook Advertising as the easiest and often most effective. Drive By Websites has recently launched Spalding Links – www.spaldinglinks.co.uk – a community- based, buy local website. There business is also “promoted” and “shared” on Spalding Links and on Facebook and Twitter. The above are just a selection of the services that Drive By Websites can offer you. 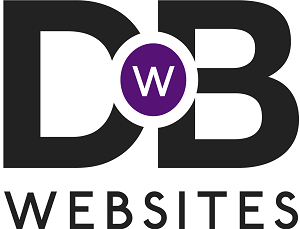 It will be a pleasure to discuss the various options how Drive By Websites can help your business in respect of, for instance, a refreshed brochure style website to get your business found when people are browsing the internet for a company just like yours. If, however, you are looking to increase sales with an e-commerce website, then this is something that we can also help you with.